1. Zoë Isabella Kravitz is an American actress, singer, and model. She is the daughter of musician Lenny Kravitz and actress Lisa Bonet. Kravitz made her acting debut in the 2007 film No Reservations. 2. Kravitz was born in Venice, Los Angeles, California at the home of her parents, actress Lisa Bonet and musician Lenny Kravitz. Both of her parents are of African-American and Jewish descent. 3. Kravitz has a younger half-sister, Lola Iolani Momoa, and half-brother, Nakoa-Wolf Manakauapo Namakaeha Momoa, from her mother's remarriage to actor Jason Momoa. Her godfather is movie producer Bruce Cohen, and her godmother is actress Marisa Tomei. 4. Her breakthrough role came as Angel Salvadore in the 2011 superhero film X-Men: First Class, which was followed by roles in The Divergent Series and Mad Max: Fury Road. 5. Aside from acting, Kravitz was the face of Vera Wang's Princess fragrance in 2009, and has modeled for Venus Zine and Elle, among others. She also fronts the band Lolawolf, who released their debut album Calm Down in 2014. 6. In 2013, she co-starred in After Earth. In 2014, she portrayed the character Christina in Divergent. Kravitz reprised her role in the sequels Insurgent and Allegiant. 7. Kravitz's parents married in 1987 and divorced six years later, in 1993, when she was five. She lived with her mother in Topanga Canyon, and then moved to Miami at age eleven to live with her father, spending summers with her mother. 8. Since 2017, Kravitz has starred in the HBO series Big Little Lies, in which she portrays Bonnie Carlson. 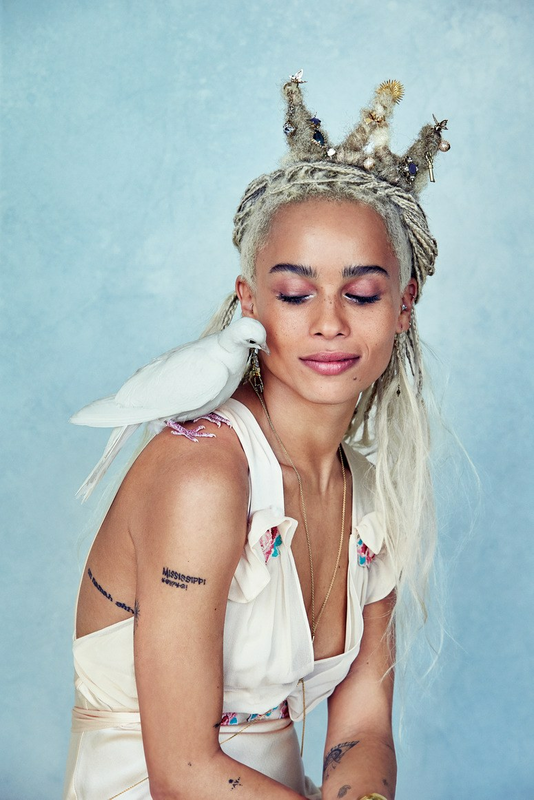 Kravitz appeared in the 2018 science fiction action film Kin, and reprised her role as Leta Lestrange in Fantastic Beasts: The Crimes of Grindelwald in a larger capacity. 9. Kravitz is also set to star as one of the leads in Viena and the Fantomes, and in Black Belle as a gunslinger in the American Old West. 10. She struggled with anorexia and bulimia throughout high school, until around age 24.